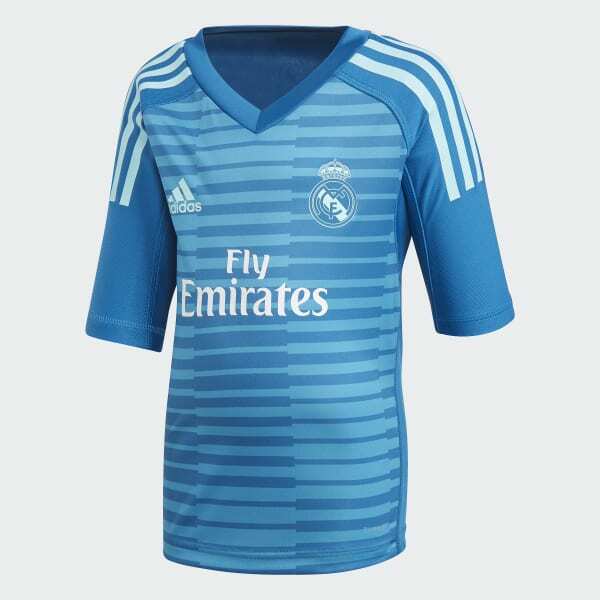 A scaled-down kit based on the Real Madrid keepers' away colours. Fuel your young football fan's dreams of playing in goal for their favourite club with this kids' mini kit. Made from stretchy fabric that wicks moisture to help keep them dry, it includes shorts with an elastic waist for a comfortable fit. It's styled after the away kit Real Madrid goalkeepers wear. The kit also includes a pair of socks.